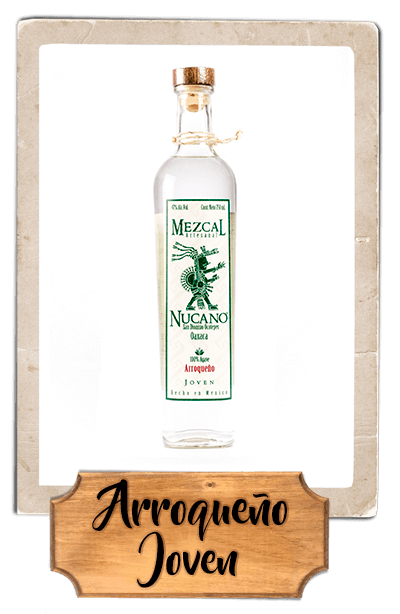 Mezcal Nucano – 100% Artisanal. Authentic Mezcal. the labor of men of the field. Ancestral drink that possesses culture, tradition and history of the communities of Oaxaca. 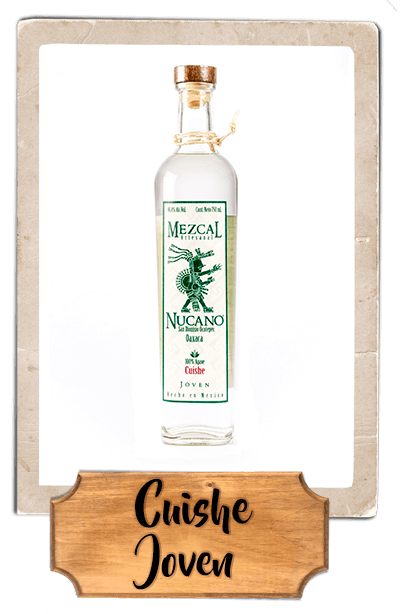 Mezcal Nucano a 100% artisanal mezcal from the San Dionisio Ocotepec region of the state of Oaxaca. 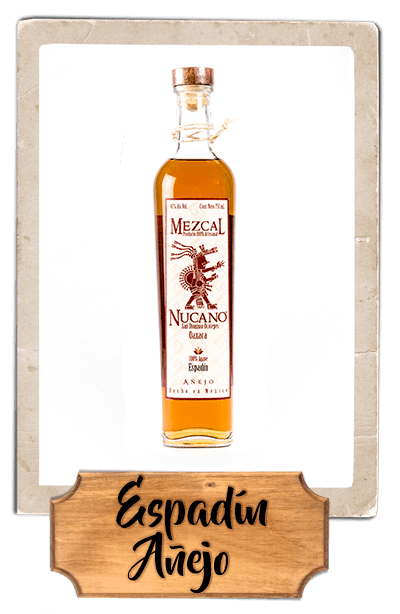 The term “mezcal” originates from Mexcalli Náhuatl (“metl” maguey, “ixcalli” cooked) and means cooked maguey. 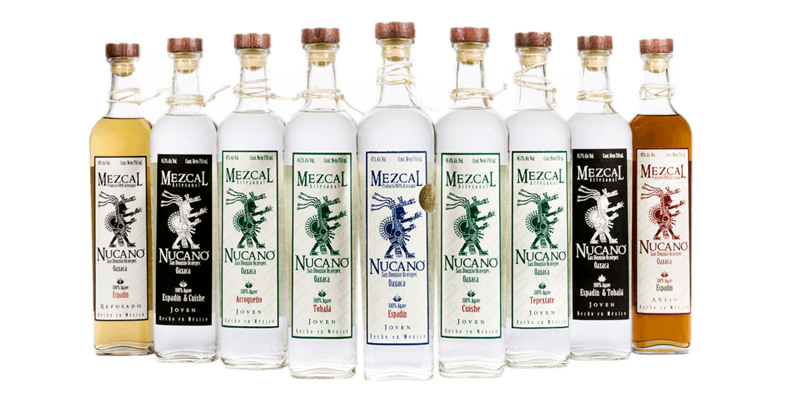 Mezcal Nucano provides the customer with an AUTHENTIC ARTISANAL MEZCAL, product of working the land in its purest and most TRADITIONAL form and available thanks to the efforts of MEN OF THE FIELD. This UNIQUE, high QUALITY mezcal contains CULTURE and TRADITION in each bottle, aiming to connect each of its customers with the origin of this ancestral drinking, and putting a little piece of Oaxaca in their hands. Nucano (Great Fire) was an important character in the history of Oaxaca, a brave Mixtec warrior who fell in love with the Zapotec Princess Donají, and who, in the name of that love, sought to bring peace to the two nations. Nucano governed the Zapotecs, and did so with nobility and respect, as his beloved Donají would have done. According to the legend, their bodies lie under a flagstone in the Cuilapam de Guerrero church in Oaxaca. aroma and texture that make it authentic. Agave: 100% Espadín (Angustifolia Haw). Region: San Dionisio Ocotepec, Oaxaca. Time of agave maturation: 8 years. Oven type: Conical earth oven. Mill type: Tahona (stone wheel pulled by horse). Distillation type: Copper pot still heated by direct wood fire. Agave: 100% Tobalá (Potatorum Zucc). Time of agave maturation: 12 years. Agave: 100% Cuishe (Karwinskii Zucc). Time of agave maturation: 15 years. Time in barrel: 8 to 12 months in white oak barrels. Time in barrel: 3 to 5 years in white oak barrels. Time of agave maturation: 13 years. Time of agave maturation: 20 years. 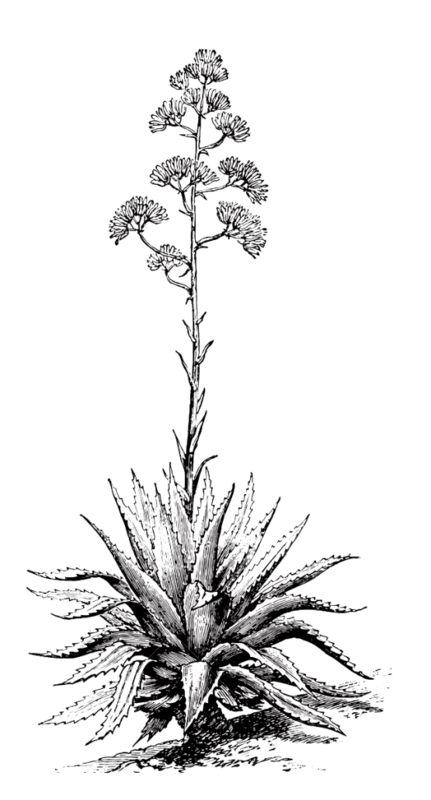 Agave: 100% Espadín y Tobalá (Angustifolia Haw & Potatorum Zucc). Time of agave maturation: 8 & 12 years. Agave: 100% Espadín y Cuishe (Angustifolia Haw & Karwinskii Zucc). Time of agave maturation: 8 & 15 years. The production process of mezcal begins with the cutting or “jima” of the agave. In this step agave plants of between 8 and 10 years of maturation are selected and their spiky leaves are removed. Later, the agaves are hand cut with machetes into 2 or 3 pieces depending on the size and are placed into the oven. The cooking of the agave takes place in a buried conical stone oven. The stones are first heated until red; then the agave halves are piled onto them. Once the agave has been piled it is covered with earth and bagasse, which maintains a constant heat. The agave is left cooking slowly for 3 to 5 days. The mosto is placed in oak vats and a small quantity of hot water is added to facilitate the fermentation process with the agave’s own sugars, transforming the substance into “tepache” and generating alcohol. This mixture is left to sit for 6 to 10 days, depending on the climate. Once perfect fermentation is reached, the mixture is emptied into a copper pot or tub and placed over direct flame for the distillation process to proceed. The distilled steam passes through a piece called the head and then into a coil whose end is submerged in a container of water to cool the vapors, which finally condense, thereby completing the production process of the distilled drink known as MEZCAL. 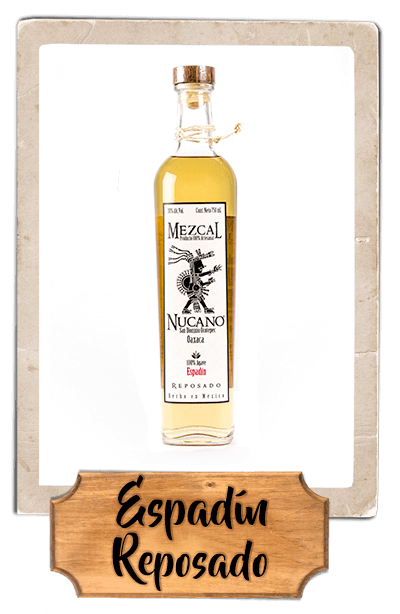 Mezcal Nucano was born when two young Oaxacans, lovers of their land, culture and traditions, delved into the world of mezcal, asking themselves why this distilled agave drink with a designation of origin had not received the worldwide recognition it deserved. This was how we began to visit various towns in which artisanal mezcal is produced and how we were able to learn first-hand about the extraordinary work of so many of the master “mezcaleros” of Oaxaca, their production techniques and the importance of mezcal in their communities. One of the principal needs of the master “mezcaleros” is the support of people with whom they can form a team to bring mezcal to every corner of Mexico and the world, and that is where we saw the opportunity to contribute to the Oaxacan community. 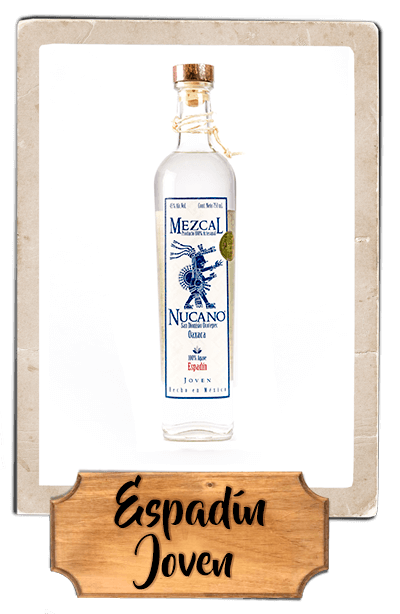 We strongly believe that the work of the region’s master “mezcaleros” should know no borders, which is why Mezcal Nucano is a 100% Oaxacan brand that looks to bring a part of Oaxacan culture and tradition to the rest of the world through mezcal. Our commitment to Oaxaca is to contribute to the development of the state, which is why the entire value chain of Mezcal Nucano can be found in Oaxaca, including its production, suppliers, administration, etc. And our commitment to the customer is to always offer them authentic artisanal mezcal.